The discovery of 233 billion barrels of unconventional oil under an area spread over 16 million acres, located near the remote town of Coober Pedy, Australia, may trigger an energy war in coming days. 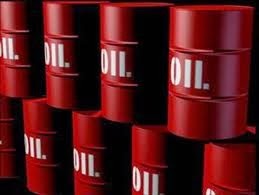 The total reserves of Saudi Arabia stand at 263 billion barrels. Coober Pedy is located in a nearly, uninhabitable region of Southern Australia where temperatures can reach 118 degrees, which forces many of the town's 1,695 residents are forced to live in underground caves. This has been disclosed by Dr. Kent Moors, an energy advisor to 20 world governments and consultant to OPEC, the IEA, EIA, and National Intelligence Community in an exclusive interview with Money Morning TV.